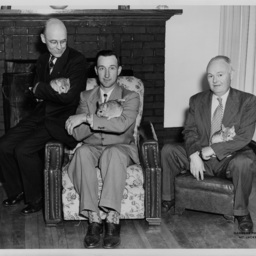 Photograph showing two boys posing with two cats at an unknown location. 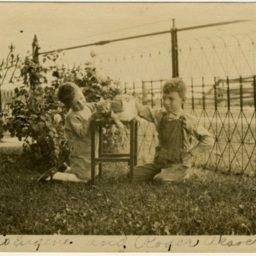 A caption on the image identifies them as "Willis Eugene and Roger Ak__ Slusser." 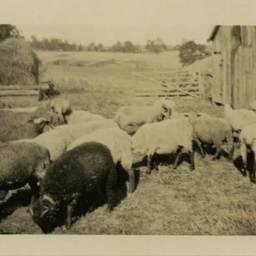 Photographs (3) showing sheep on an unidentified farm in Shenandoah County. Photographs are dated August 26, 1929. 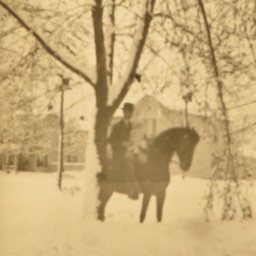 Photograph taken by William Hoyle Garber showing a teenage boy holding a horse. 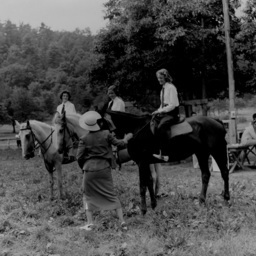 Photograph taken by William Hoyle Garber showing three girls on horseback. One of the horses is wearing a ribbon. 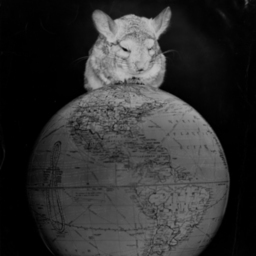 Photograph taken by William Hoyle Garber showing a Chincilla on a globe. Photograph most likely was used to advertise the Chincilla Farm near New Market Virginia. 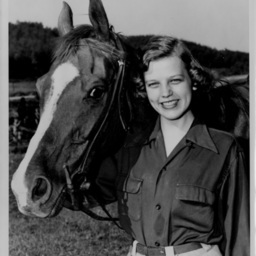 Photograph taken by William Hoyle Garber showing Nancy Carter Carey with her horse Byrice in the summer of 1952. 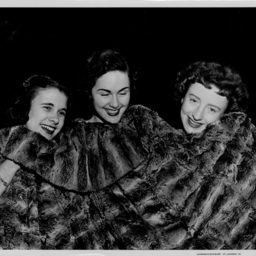 Photograph taken by William Hoyle Garber showing three unidentified women with a Chincilla coat. 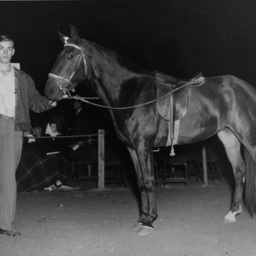 Most likely the photograph was produced to help promote the Chincilla Farm located east of New Market Virginia. 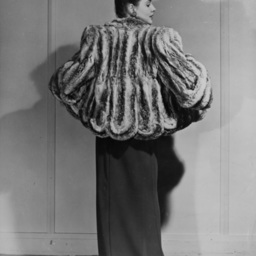 Photograph taken by William Hoyle Garber showing an unidentified woman wearing a Chincilla coat. 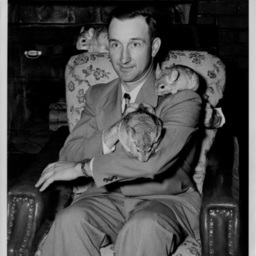 Most likely the photograph was produced to help promote the Chincilla Farm located east of New Market Virginia. Photograph taken by William Hoyle Garber showing an unidentified man with two Chincillas. 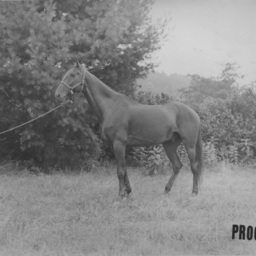 Most likely the photograph was produced to help promote the Chincilla Farm located east of New Market Virginia. 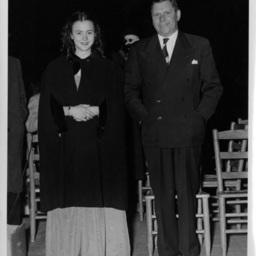 Photograph taken by William Hoyle Garber showing Wally Greer and an unidentified women holding chincillas. 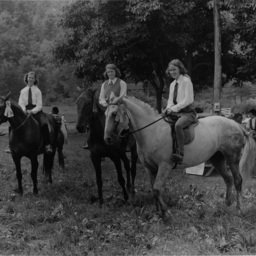 Most likely the photograph was produced to help promote the Chincilla Farm located east of New Market Virginia. 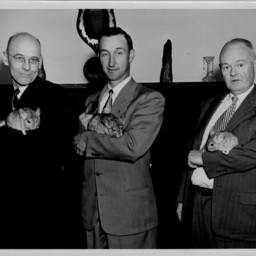 Photograph taken by William Hoyle Garber showing three men holding chincillas. 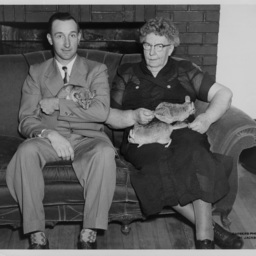 Most likely the photograph was produced to help promote the Chincilla Farm located east of New Market Virginia. 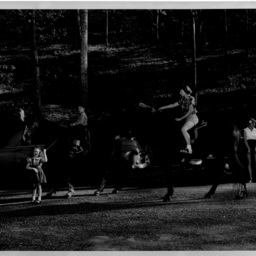 Photograph taken by William Hoyle Garber showing an unidentified group of children with horses. 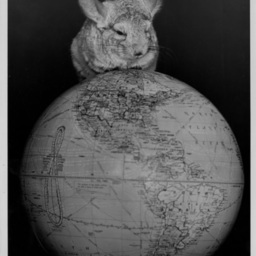 Photograph taken by William Hoyle Garber showing a chincilla sitting atop a globe. This image would have been produced for the chincilla farm located near New Market Virginia. 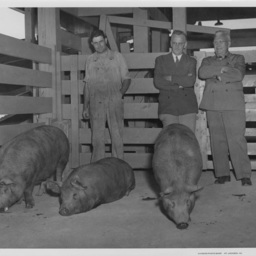 Photograph taken by William Hoyle Garber showing three unidentified men with hogs. 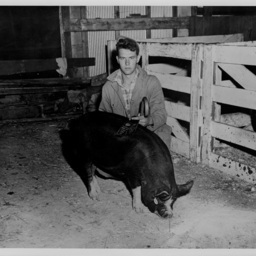 Photograph taken by William Hoyle Garber showing Eugene Fleming with a hog that received an award during the Richmond Junior Fat Stock Show. 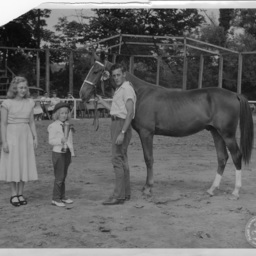 Photograph taken by William Hoyle Garber showing an unidentified boy and girl with an unidentified man holding a horse at the Plains District Horse Show held in Timberville Virginia on July 11 1948. 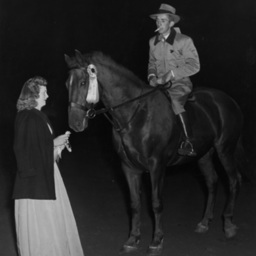 Photograph taken by William Hoyle Garber showing Colleen Holsinger (left) awarding a prize to a horse and its unidentified male rider at the Plains District Horse Show held in Timberville Virginia on July 11 1948. 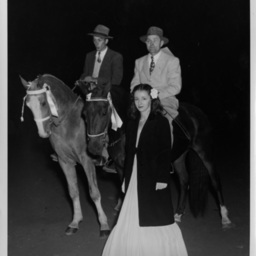 Photograph taken by William Hoyle Garber showing an unidentified woman with two unidentified male riders on horses at the Plains District Horse Show held in Timberville Virginia on July 11 1948. 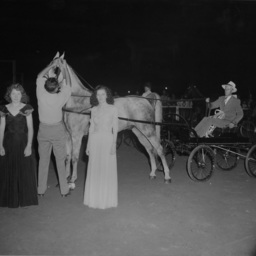 Photograph taken by William Hoyle Garber showing an unidentified woman and man at the Plains District Horse Show held in Timberville Virginia on July 11 1948. 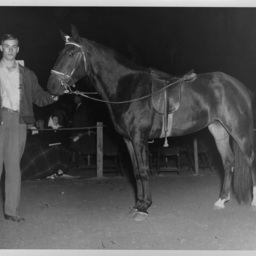 Photograph taken by William Hoyle Garber showing an unidentified man holding a horse at the Plains District Horse Show held in Timberville Virginia on July 11 1948.